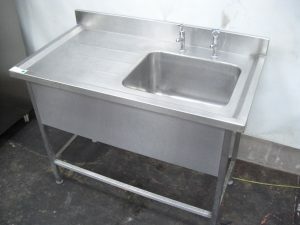 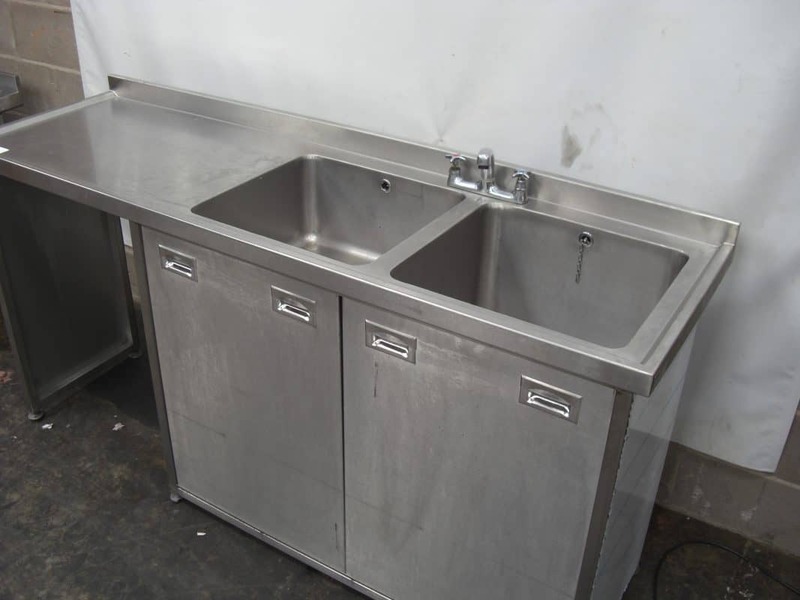 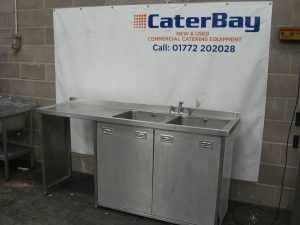 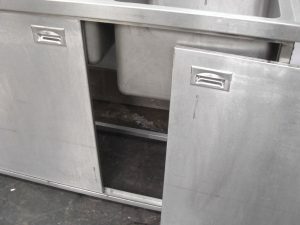 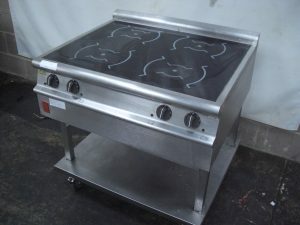 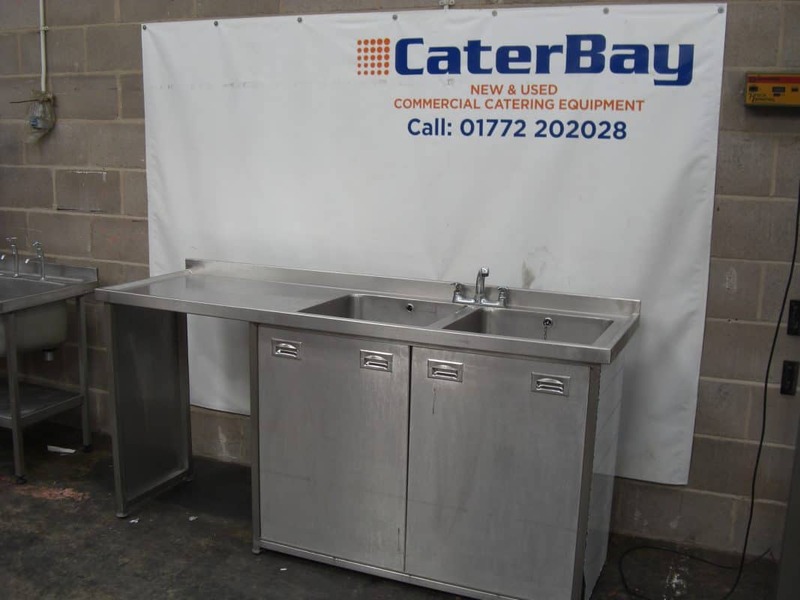 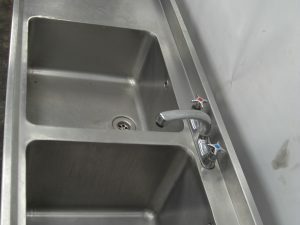 Double bowl sink, left hand drainer stainless steel sink. 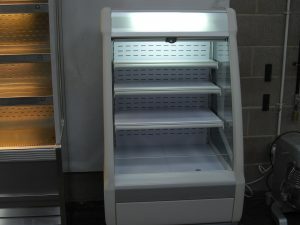 The overall size is 2000w x 610d x 970mm high to counter. 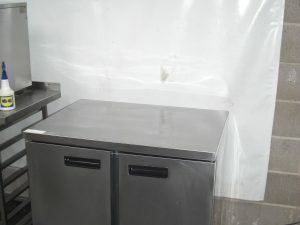 i) 500 x 460 x 250mm deep. 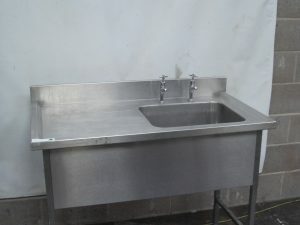 ii) 500 x 460 x 350mm deep. 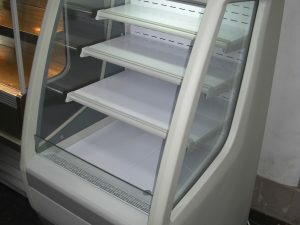 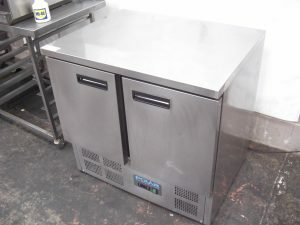 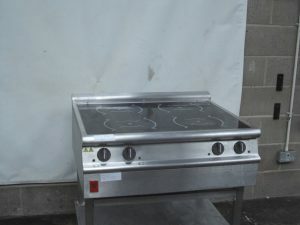 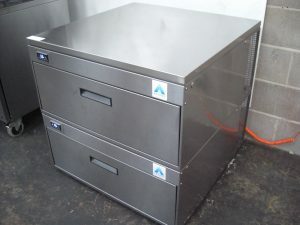 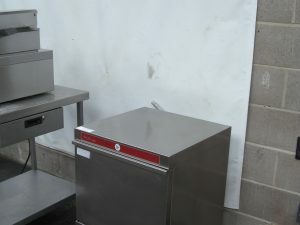 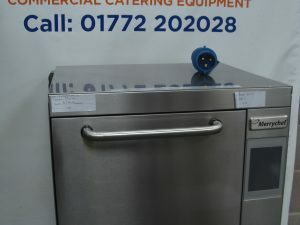 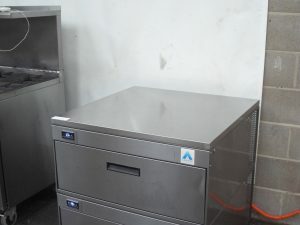 Space for undercounter appliance, 645w x 900mm high. 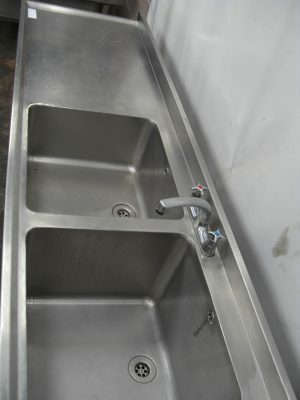 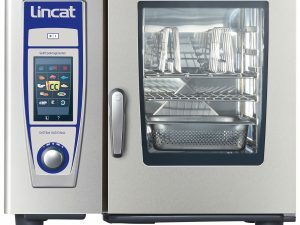 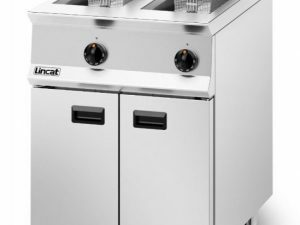 The unit comes with stainless steel mixer tap, and adjustable feet.